NMSA presents its first ever “Frets & Friends” concert at 7pm on February 23 at the Santa Fe Playhouse. Featuring all NMSA student artists, “Frets & Friends” is a showcase curated by Music Department Guitar & Instrumental Performance faculty Gwen-Marie Lerch and is led by her student guitarists. 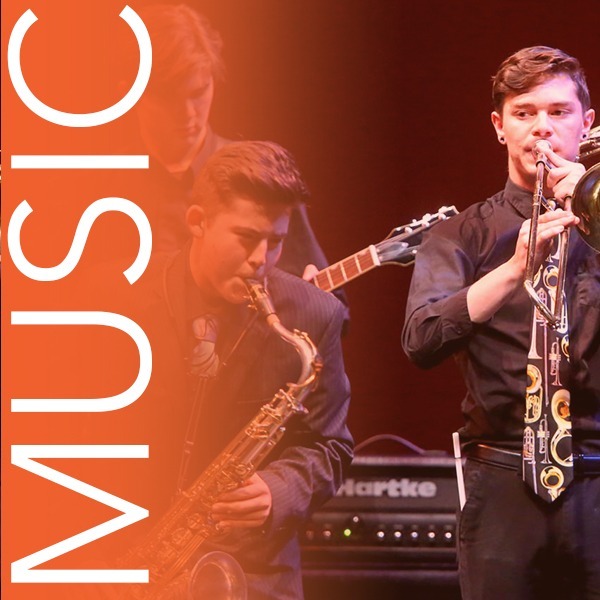 Guitarists will share the stage with peer violinists, vocalists, cellists, clarinetists, the NMSA Guitar Ensemble, and the first ever NMSA Electric Modern Ensemble, featuring jazz, classical, folk, pop, world, and bluegrass styles with two world premieres by NMSA student composers. The evening’s presentation will even include guitar-centric paintings by Visual Arts Department students as a hallmark of the shared spaces and artistic collisions that happen every day at NMSA. Tickets are $10 for adults, and $5 for Seniors/non-NMSA students and may be reserved online by going to nmschoolforthearts.org/tickets. Join us for an evening of fretted fun!